This is a complete rewrite of the The Wet Plate Process, A Working Guide, 2011, now titled Basic Collodion Technique: Ambrotype & Tintype. 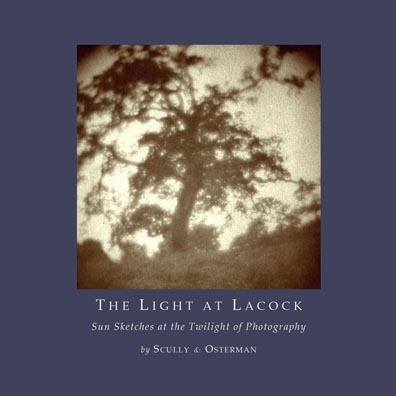 The original manual, written in 1994, was 25 pages and featured the first complete instructions of the collodion process to a modern audience. The new version is 56 pages, has more basic theory and a valuable trouble shooting section titled Out of the Fog, that is worth the purchase price alone! Included is a color chart which shows how colors photograph using the collodion process. 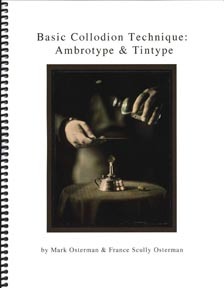 This is the NEW updated manual to get started on wet-plate collodion, including equipment, supplies needed, sources, formulas and more importantly, the theory to modify them for specific working conditions. Think of this as the difference between learning a few phrases of a language and the grammar to construct any sentence you want! You can pay by check, money order or PayPal. Paypal allows you to use credit cards, debit cards, and bank payments. You can also order through the Freestyle Website (see link on right). Don't forget to include your mailing address plus a contact phone number or email address. 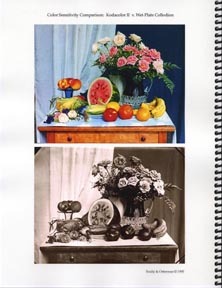 Please place your order through the Freestyle Photographic Supplies website. You will have a choice of payment and shipping options. The Freestyle Photographic Supplies website address is: http://www.freestylephoto.biz. These 5 1/2" 24 page square booklets are for sale. 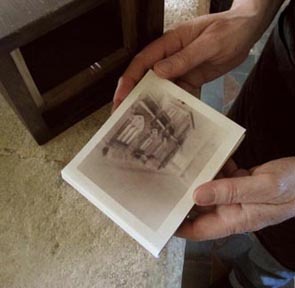 The following images were made at Lacock Abbey from paper negatives exposed within small wooden cameras identical in design to those used by Talbot for his first experiments. A small hole in the front of each camera allowed viewing and focusing the projected image directly upon the sensitive paper within. Like viewing celestial scenes with a reflection telescope, the technique involved aiming the camera over the shoulder to reveal the subject behind. 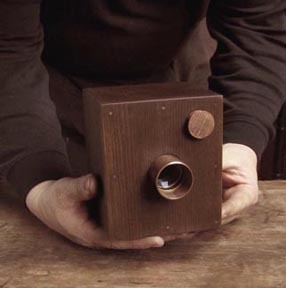 Every morning at the Abbey barn we sensitized small sheets of paper with silver nitrate and table salt and fitted them into eight small cameras. Then, as a trapper sets a trap line, we walked the same steps as Talbot throughout the Abbey and grounds. When usable daylight ceased, we retraced our steps and gathered up the cameras hoping none had been disturbed. Then, back at the barn we opened up our cameras. Like cleaving geodes we were amazed by the gift of the fully formed negatives within; like water colors sketched by the sun. 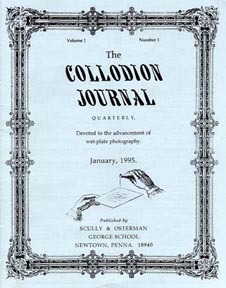 Click on the Freestyle cover (above) to read Mark & France's article, The Lure of Collodion. 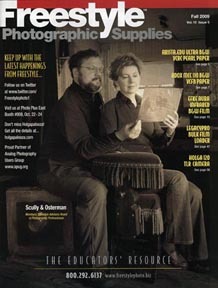 Do you have a collodion or historic process-related question for The Ostermans? If so, please CLICK HERE to post your question at Freestyle! 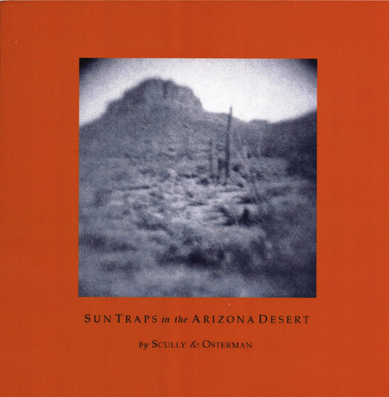 Scully & Osterman produced The Collodion Journal, a quarterly publication, from 1995-2002. There are no back issues available at this time. However, they are planning to publish the Journal in it's entirety, probably in a CD format. Please email if you are interested in purchasing this series.